Crystal Peak rises to 13,852’ and dominates the hike to Lower and Upper Crystal Lakes. 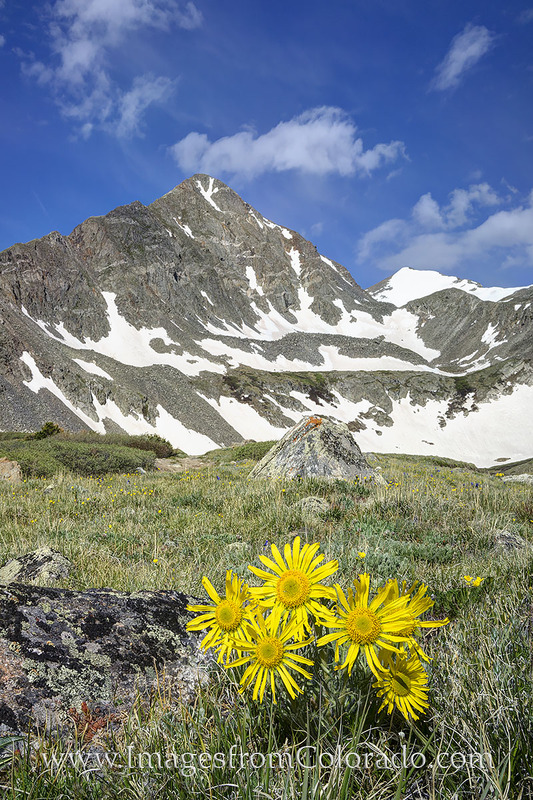 Along this trail near Breckenridge, Colorado, wildflowers fill the grassy slopes in June and July. This image was captured in late June and shows “Old Man of the Mountain” sunflowers. Photo © copyright by Rob Greebon.